Love Your Wetlands Day 2018: A huge success! Our annual Love Your Wetlands Day on Saturday, February 10th was a huge hit! Over 175 members of the public were in attendance for this rare opportunity to explore the typically off-limits Kendall-Frost Marsh Reserve. 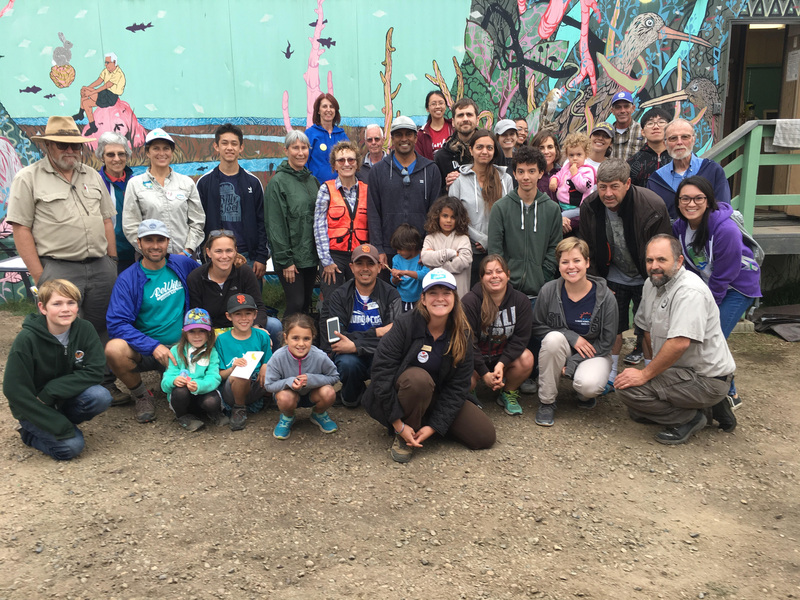 Participants of all ages learned about the important ecosystem services that wetlands provide, the legacy of wetlands lost to development in Mission Bay and around the world, and what can be done to help protect this fragmented and highly modified habitat. Volunteers went out into the marsh to remove litter, install native plants and even assisted with fixing nesting platforms for the endangered Ridgway’s Light-footed Clapper Rail! Dozens signed postcards to their City Councilmember in support of ReWild Mission Bay’s vision of climate-change resilient wetlands. It’s inspiring to see the community support surrounding this often-overlooked, fragmented wetland. Now let’s keep at our efforts to ReWild Mission Bay!